Previous studies show that ultrasound has a critical role in the synthesis of nanoparticles. In this paper, we compare the synthesis of MnO2 nanoparticles in the presence and absence of ultrasonic waves. The reaction efficiency is measured by the back titration method. The purity, phase, and morphology of the prepared samples are analyzed by X-ray diffraction (XRD) and field-emission scanning electron microscopy (FESEM). The surface area and total pore volume are measured by Brunauer–Emmett–Teller (BET) analysis. 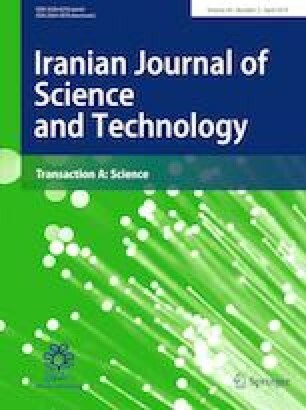 The results showed that the reaction efficiency reached 95% in the presence of ultrasonic waves during only 20 min, while it needed more than 6 h to reach such efficiency in the absence of ultrasonic waves. The XRD analysis and FESEM images showed that both samples were MnO2 nanoparticles and their phase was α. The increased synthesis rate is due to the production of free radicals during water sonolysis. Nitrogen adsorption–desorption isotherms displayed mesoporous nanoparticles with a pore size in the range of 2–10 nm for both samples. The surface area was 28.092 m2/g for samples under ultrasonic irradiation and 77.533 m2/g for other samples. A decrease of 2.75 times in the surface area was demonstrated for samples under ultrasonic irradiation. Also, the total pore volume of samples under ultrasonic irradiation was 1.85 times less than that of other samples. The reduction in the surface area and total pore volume is due to the role of the shock wave phenomenon in ultrasound irradiation. The shock wave increases the collision among nanoparticles and the adhesion among them. Based on the analysis of FESEM images, a new index is introduced describing the cohesiveness of the samples. This measure is compatible with the results of the BET analysis and shows increased adhesion among nanoparticles.